Aquilegia – often known as Granny’s Bonnet or Columbine – gets its name from aquila, the Latin word for eagle, since its petals are said to resemble an eagle’s claw. By H. Zell under CC-BY-SA-3.0, via Wikimedia Commons. 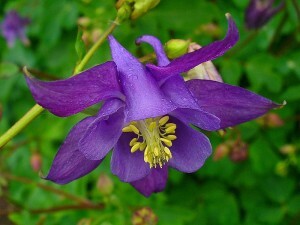 Columbines are usually found in shades of blues, purples, and sometimes pinks. 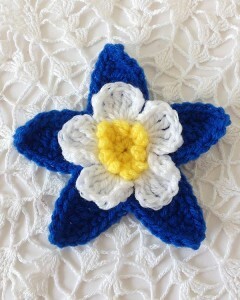 Some are one color, and some will have white inner flowers, such as in our Columbine pattern. 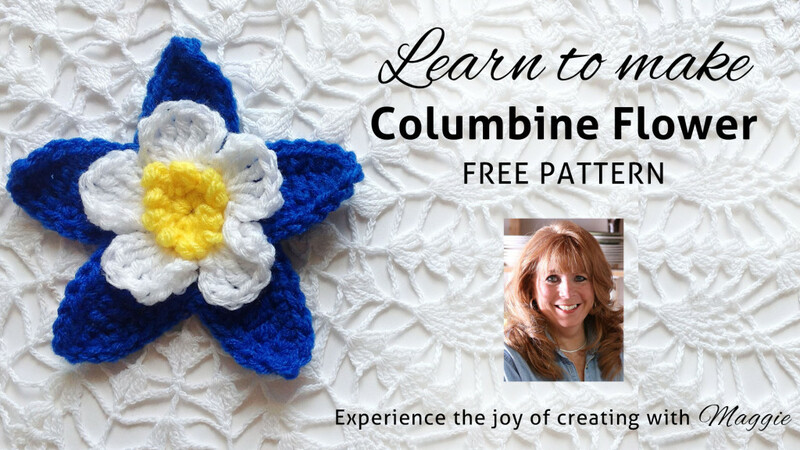 Click on the photo for the written Columbine pattern. This flower can be worked with any weight of yarn. Finer weights will create a smaller flower, and bulkier weights will create a larger flower. Use the hook size appropriate for the yarn you choose. We used worsted weight yarn and a size H-8 hook in our samples. 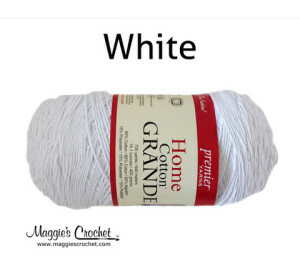 Click the photo to shop Home Cotton worsted weight yarn. Maggie is excited to offer Five Free Flower Patterns: Aster Flower, Button Poppy Flower, Cactus Flower, Columbine Flower, and Hydrangea Flower. Get more free flower patterns here. Share the love with the world! Mothers Day is just ahead! Meet my granddaughter and check out our latest pattern!